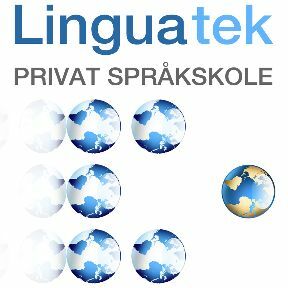 Linguatek Privat Språkskole (Linguatek Private Language School) is a fine example of a personal business organized to provide high quality instruction in Norwegian and several other languages, situated in Oslo, Norway. Now I give it my unsolicited high testimonial. Owner and principal instructor Melanie Salgado has presented to the public a refined form of the classical learning experience. As you may infer symbolically from the logo, with teacher addressing the students, classes are small, limited to five or six according to the circumstances. All manner of students enroll in Melanie’s courses, and uniformly enjoy her attentive, tolerant, and effective personal style of interactive teaching and learning. Her reputation has spread rapidly to such communities as the diplomatic corps in Oslo, to the corporate environment, and wherever the acquisition of quality language skills is demanded. This entry was posted in Blog on 28.03.2011 by Paul Carlisle Kettler.